We are now off the ice of Norman Glacier, after having a fantastic five day trip up the glacier and great exploration of the southern tip of the Penny Ice Cap and the glaciers that run down off it. The highlight for me was certainly climbing our little unnamed summit at the midway point, standing on top of the peak and looking out over this meeting point of 3 or 4 glaciers. All of a sudden it made you realise just how small you were in these massive glaciers coming off the Penny Ice Cap and these huge mountains around us. It was something really, really special to be stood on top of the little summit, looking down on all of this. The team has worked incredibly hard over the past few weeks, just lugging all of the food, equipment and ice gear needed to go into this remote part of the world, and we’ve been rewarded with fantastic weather, fantastic sights and lots of new knowledge and understanding of the Arctic environment. Our progress back today has been really good. Walking off the tip of the Norman glacier, we were a little bit surprised that our access point onto the glacier was no longer safe, so we had to find another route off the glacier. It was amazing comparing the two edges of the glacier! It has melted a good two, two and a half metres in just 5 days from when we stepped onto the glacier to when we stepped off of it, and as a result it was too thin to step safely off. I didn’t realise the glaciers here were melting quite that quickly, which is quite worrying in many regards. We are now camped back in our cache point in the moraines. Everyone is really pleased how things have gone. I’m very proud of the team and how everyone has worked and really come together. We’ve now got another week here in the park with our rest day tomorrow and then we’ll walk off down, continuing through the pass, so still by no means the end of the expedition, we still have a long way to go yet. 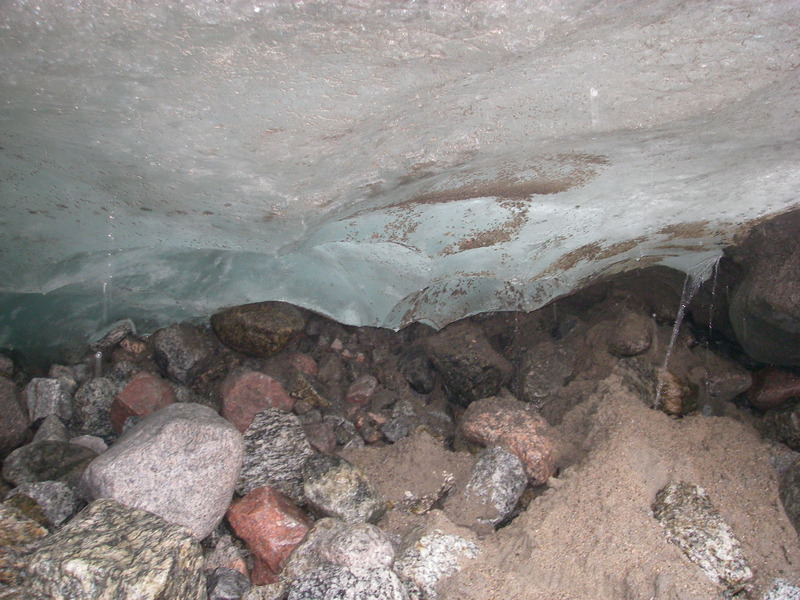 In August 2010, a team of 9 University students and graduates from a wide range of disciplines (including Earth Science, Geology, Geography, Zoology, Linguistics and Film Studies), trainee teachers and mountain guides will depart from the UK on an expedition in the Auyuittuq National Park, Baffin Island, Arctic Canada.